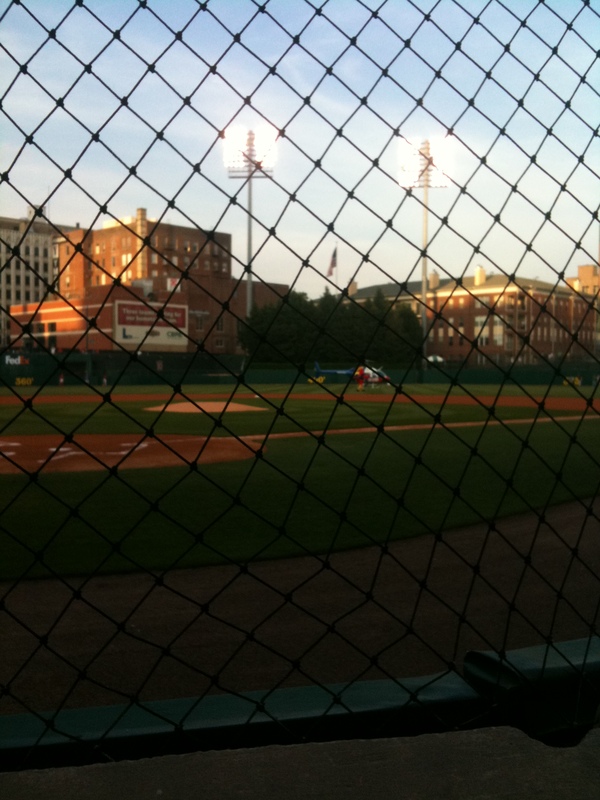 For the second year in a row, I went to the Memphis Redbirds Opening Day and sat in the front row behind homeplate. 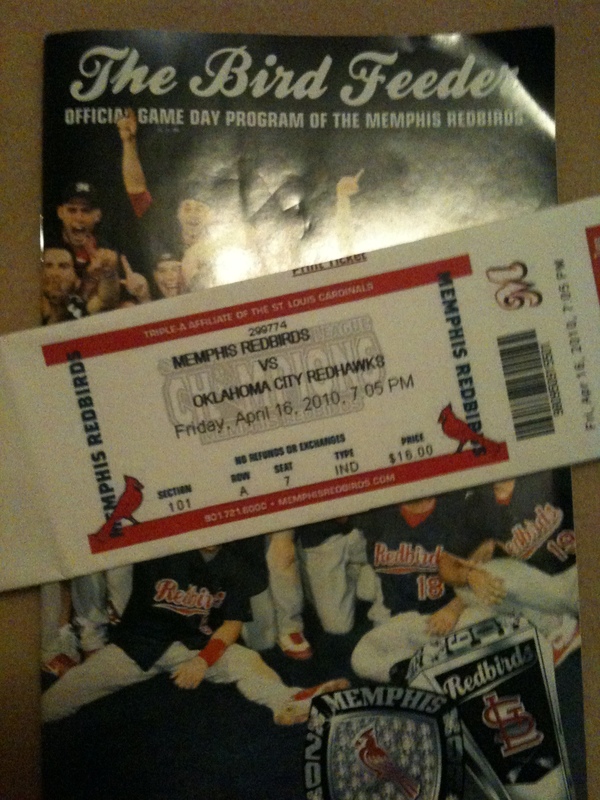 I haven’t lived in Memphis two years yet, so two years in a row to Opening Day is pretty good. And the fact they call it Opening Day when it’s at night just bugs me. Opening Day should be played during the day. 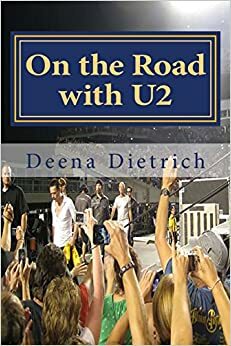 That’s just how it is. 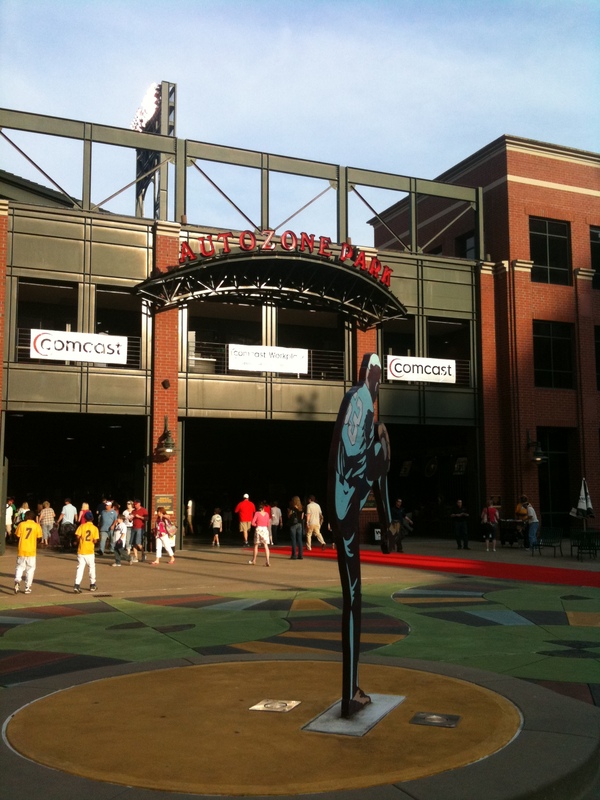 This year the Memphis Redbirds, triple-A affiliate for the St. Louis Cardinals, opened up their season against the Oklahoma City Redhawks, the triple-A affiliate for the Texas Rangers. This year the weather was better and the attendance was higher and there was more ceremony. There was more attendance because it was 80 degrees at gametime, while last year it threatened rain and was chilly. There was more ceremoney because they gave out the rings for their 2009 championship. 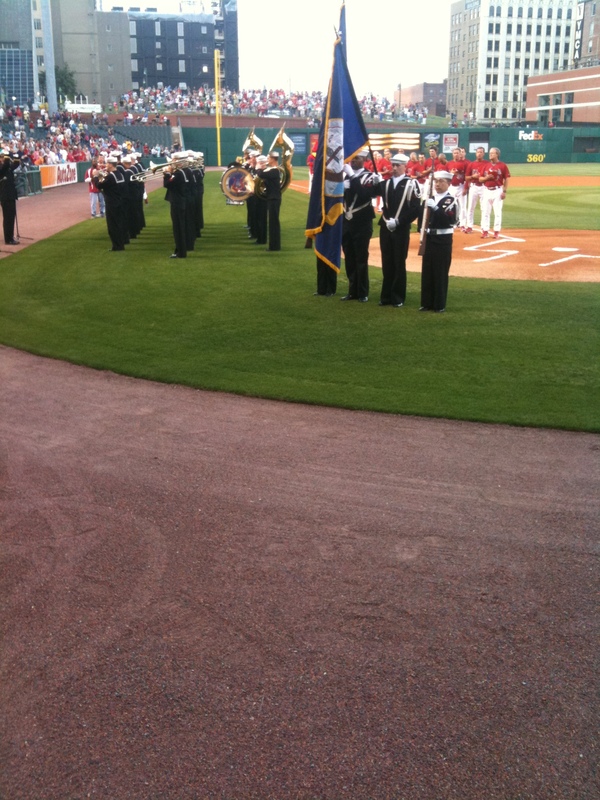 The navy band from Millington played the National Anthem. 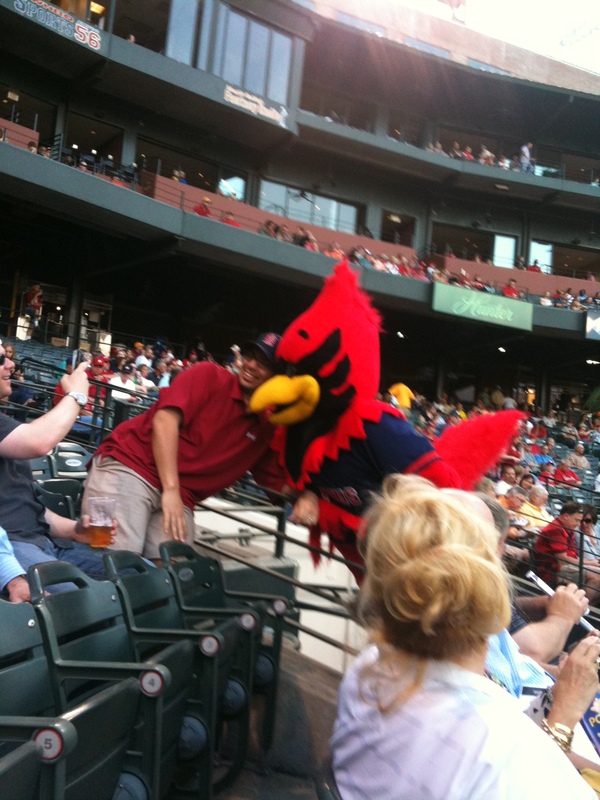 Rocky Redbird flew in on a news helicopter. 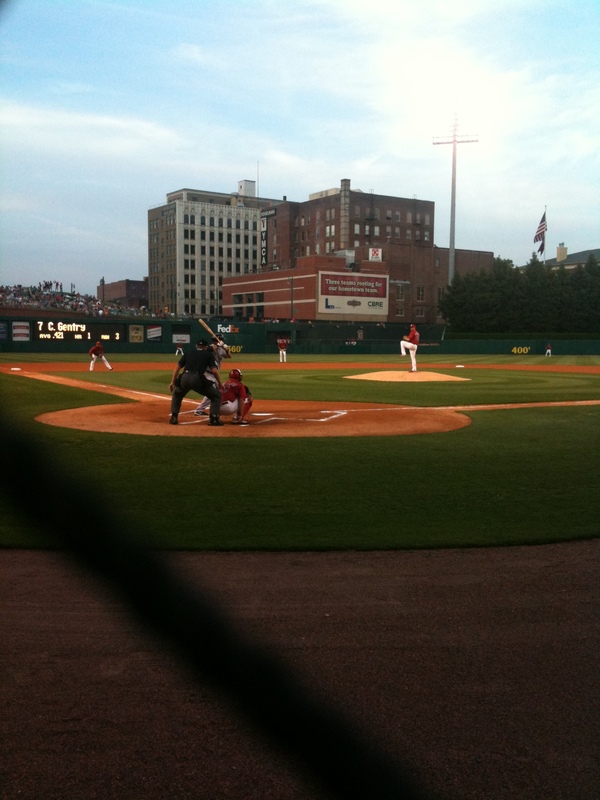 Unfortunately the better weather and the bigger crowd couldn’t rally the Redbirds into a victory – they lost 7-0.